سواءً كنت مسافراً بغرض السياحة أو العمل، Microtel Backpackers هو خيار عظيم للإقامة خلال زيارتك للمدينة. إن موقعه الجيد الذي يبعد 1.0 km فقط عن مركز المدينة يساعد النزلاء على الاستمتاع بمعالم المدينة ونشاطاتها. يشكل هذا الفندق ملاذاَ مريحاً للاسترخاء ويمنح زواره فرصة للاستجمام والتجدد، وهو يقع على بعد خطوات من المعالم السياحية الكثيرة للمدينة. يقدم Microtel Backpackers خدمات لا غبار عليها وكل أشكال اللياقة وحسن الضيافة اللازمة لإسعاد ضيوفه. لضمان راحة ضيوفه، يقدم الفندق الخدمات التالية: واي فاي مجاني في جميع الغرف, مطبخ, واي فاي في المناطق العامة, صف السيارات, خدمة غسيل الملابس . في الفندق غرف نوم يتجاوز عددها 19، كلها مجهزة بعناية وجمال وبعضها مزود بـ سجاد, بياضات, مرآة, مناشف, كاشف دخان. كما أن مجموعة الخدمات الواسعة الموجودة في الفندق لضمان راحتك تترك لك الكثير من الخيارات لقضاء وقتك أثناء فترة إقامتك. 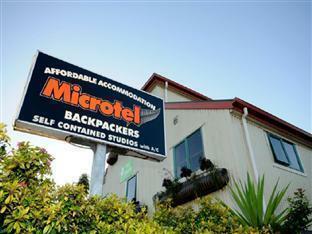 إن Microtel Backpackers هو خيارك لخدمة الفنادق الراقية في المدينة. تسجيل الدخول بين 2:00 PM و 8:30 PM. الضيوف الذين سيصلون خارج هذا التوقيت يطلب منهم التواصل مع العقار مباشرة قبل الوصول لترتيب هذا الأمر. يتوافر مدير العقار في الموقع لمساعدة النزلاء في أية استفسارات بين الساعة 07:300 صباحًا إلى الساعة 01:00 ظهرًا والساعة 02:00 ظهرًا إلى الساعة 08:30 مساءً. Far from cbd. Expensive. Comfy bed. Close to pak'n'save. Clean. Mess up the booking, not enough parkings. The shower is dirty, found hairs in the shower. The kitchen area was reasonable, seemed clean enough, although there were no drying racks for the plates etc... 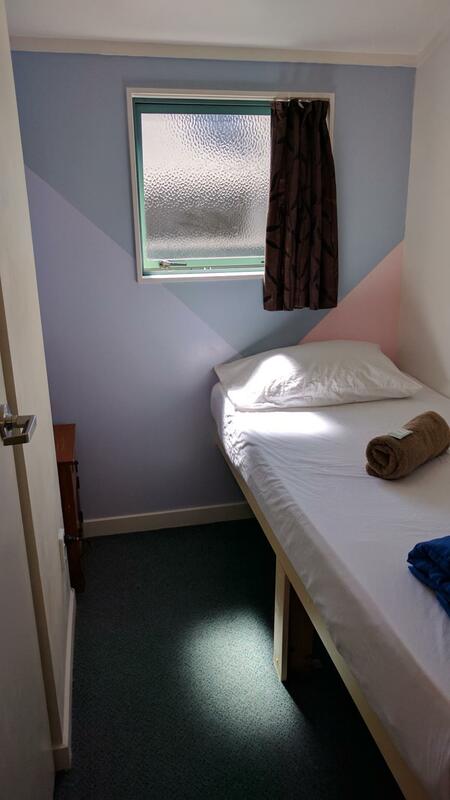 It was the actual "room" that was awful for us.. it was literally just the size of a bed, there was no where to put your bags or belongings, there was no floor space. The lady that showed us in was nice and friendly... There were other rooms available so perhaps pay the extra for the better rooms?? If you choose somewhere called 'micro' then expect a small room. This place is perfect for one night stays, or its very affordable for a break from dorms to stay in a double room. Free towels, wifi and car parking. Clean and tidy. Would definitely stay again and recommend. the location was perfect for my trip but the room I paid for was okay. Free wifi, a little dirty but was a good place to stay the night. 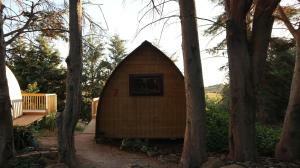 The single room is very very small, except the single bed barely to accommodate anything else. It is very noisy because it is close to a busy road. Close to everything, affordable and comfortable, UNLIMITED INTERNET!!! It was really good! I didnt expect I would get unlimited internet with that price, but I did! we enjoyed surfing the net without thinking of data and time limit! and everything we needed were all just around the corner! the receptionist was really friendly and bubbly! and the place itself was clean! I Only stayed one night was in to watch a rugby game. I got upgraded but if what I was upgraded to was better than the other I fear for the place. The shower was a dribble at best and the shower head holster was broken. The toilet tank wouldn't fill up after flushing unless you lifted off the cap and pushed the ball down. Worst bit is pretty sure it has bed bugs. 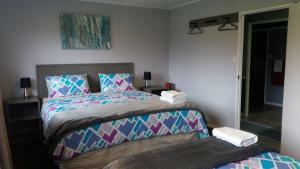 tiny single room but bathroom and toilet shared between 2 guests only, well equipped with tv and heater. just like all other stays, bed, small room, but close to my exam venue and classes. Great location. OH MY where do I start, my single room was so small and I don't get claustrophobia and I felt locked up and no room for my bag in the room. If you have another option I would consider it. The TV did not work at my time of visit. The washing machine was the best thing here. 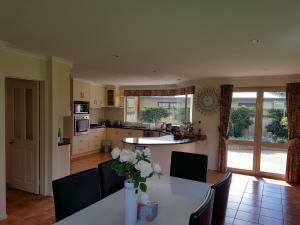 Everything is clean and tidy, the room, the dining hall, the kitchen, etc. i stayed one night in the 5-bed-dorm, the room is spacious and sufficient plugs and various lighting are provided. In NZ, most of the hostels do not provide free WIFI, but Microtel is the exception, free WIFI with reasonable speed, and the talkative staff has impressed me. I was at a conference and found Microtel to be in a convenient location near the river for excellent walks. The place was very clean and well-run under new management. The room was very small and the bed short but it suited my needs. I would recommend it. I arrived at 830 to everything closed down and it took at least 30 mins to check in.